JG Virtual were delighted to be shortlisted for the South Cheshire Chamber of Commerce Start-Up Business of the Year Award 2011. The prestigious Annual Awards Dinner was held at Crewe Hall on Friday 2 December, 2011. The category had some outstanding start up businesses shortlisted and we were ecstatic to have been included with such fantastic new local companies. 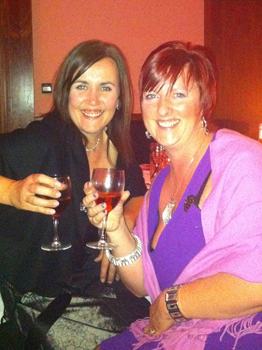 Pictured are Jo Gregory, proprietor (right) together with Jo Morgan (left), thoroughly enjoying the evening at Crewe Hall.